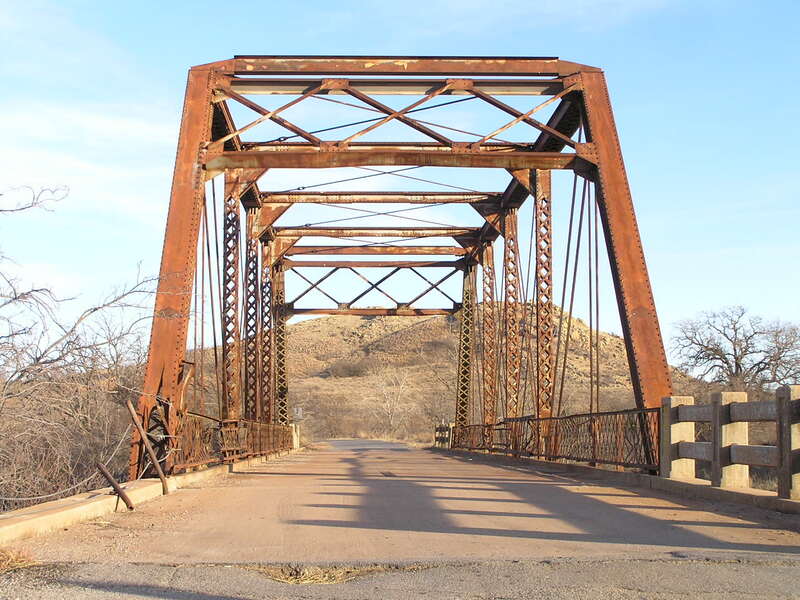 Records give a date of 1929 for this bridge, which is likely the year it was erected here. 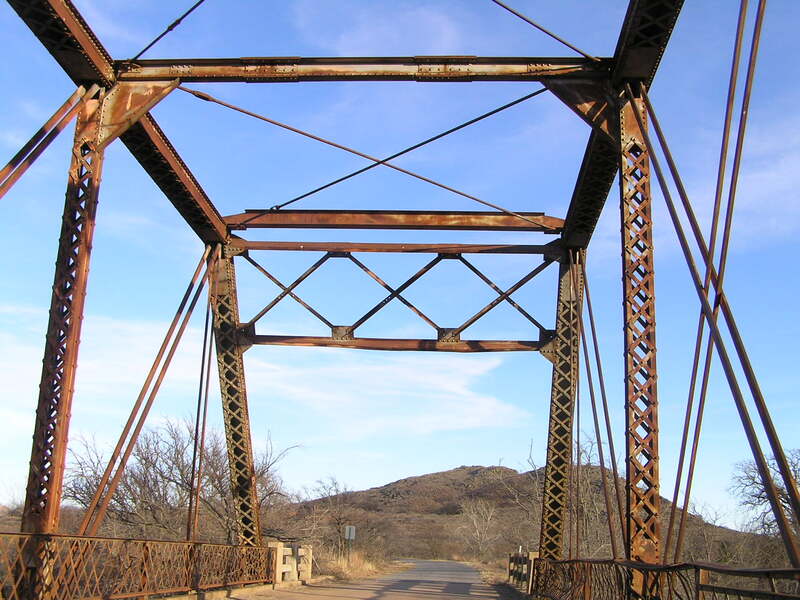 This 125-foot pin-connected through Pratt truss likely started life as a railroad bridge built circa 1900 for the Frisco, the railroad that once owned the tracks it crosses. You can quite clearly see the ghost outline and empty mounting holes of a tear-shaped plaque on each of the bridge's endposts. With its two steel stringer approaches, the bridge is 193 feet long. 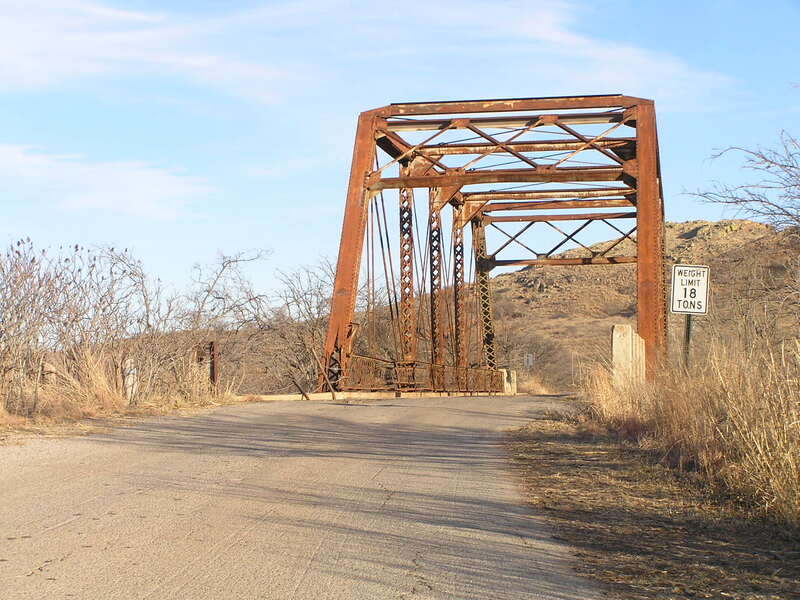 This bridge is, in many ways similar to the now demolished US 66 railroad overpass in Luther, Oklahoma. The BNSF Railroad now uses the tracks below this bridge. Above, and below, two views from different angles looking east. You can see where a brass highway-shield shaped Federal Aid Project plaque was once attached to the concrete guardrail post at the right end of the bridge. Above, a view along side showing a few details of the truss and the substructure. Below, a back view of the portal frame. 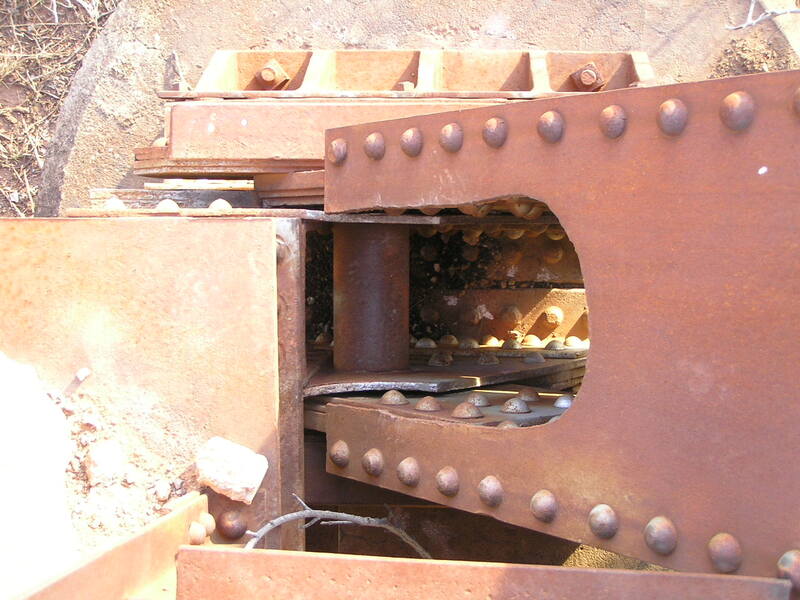 You can also see where extra material was riveted to the sway bracing when the bridge was widened from a single-track railroad bridge to a two-lane highway bridge. Above, a close view of the truss looking east. The left endposts looks as though it was struck, as all the concrete guard rail is missing on the north side of the west approach, and the cover plate on the endpost is damaged. Despite these deficiencies, the bridge was given satisfactory and fair marks in its 2007 inspection. 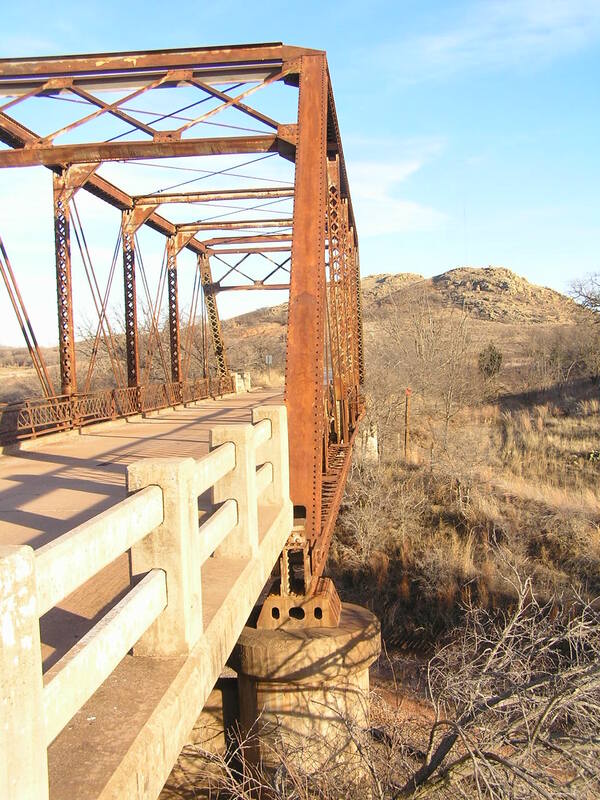 Despite this, and despite the fact it is a heavy bridge, Tillman County decided to close this bridge on Oct. 26, 2009. Below, A large chunk was cut from the cover plate of the SE endpost. Weakening like this could have been why the NW endpost became so badly damaged. 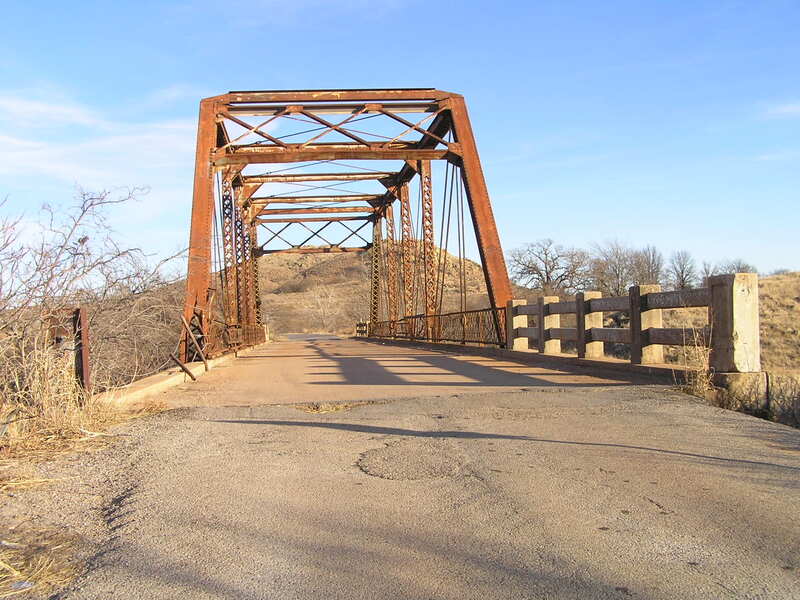 We at Oklahoma Bridges are hopeful that repairs will be made to this bridge and that it will be reopened. Its closure has also affected another nearby bridge, the Old US 62 North Fork Red River Bridge, which was also closed by neighboring Jackson County because, with this overpass bridge closed, the river bridge dead ends. 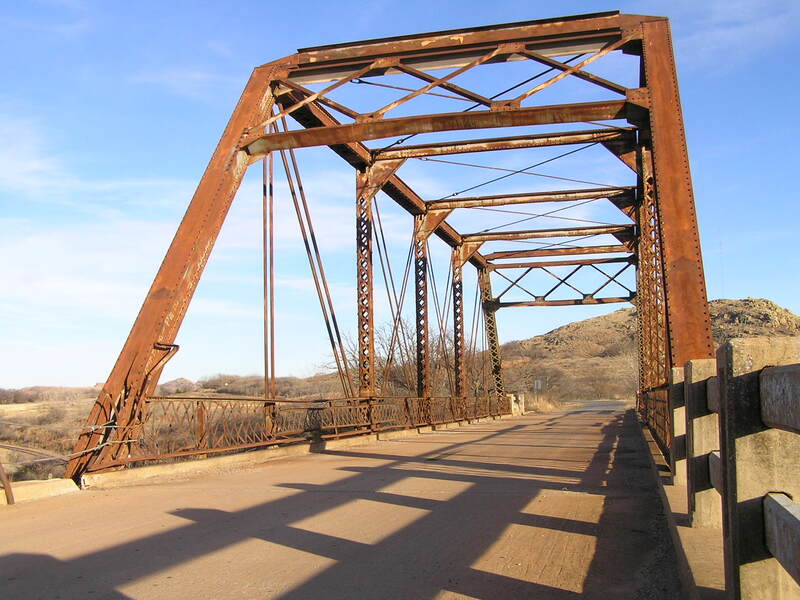 To Tillman County: Repair and reopen this historic bridge!!! !